We were so close to finishing the 2nd round yesterday... so close! We only have a couple of decisions left to be made this morning and we can close off the books on the regular two rounds and then the bonus round will commence. First, we'll do a little recap and we'll touch on the rising controversy in this year's Waiver Draft, one that will enact some change for next year's rules. 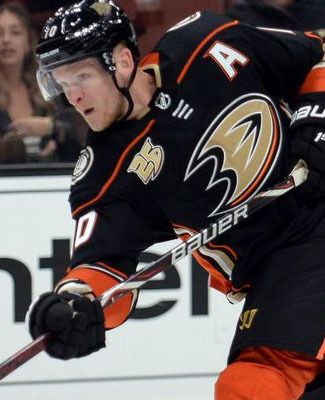 Jesse went out to hit a home run with his 2nd round pick, as he found that Corey Perry is set to come back from his preseason knee injury in the very near future (Saturday, by the look of things), so he snapped him up, hoping for a huge boatload of scoring from him down the stretch. On the way out, Penguins sophomore forward Dominik Simon, who just couldn't seem to stretch any consistency together. A major injury had to be taken care of out of Ryan's team, as Matt Dumba of the Wild isn't expected back in the lineup before the end of the regular season, so he needed to be dropped out, which is a huge disappointment, given he was the goal scoring leader among defensemen at the time. In his place, Cody Ceci of the Senators was snapped up, a guy that has had an okay year and could be on the block for this year's trade deadline. And then the controversy! Technically speaking, there was nothing in the written rules that said that a team could not pick up an injured player, especially one that could be used to aid in picking up a player dropped, ineligible to be picked up until the bonus round. This will be changing one way or another, but for now, Troy has picked up Brian Elliott of the Flyers, currently on the Injured Reserve, also traveling with the team, close to returning, and he dropped Aaron Dell of the Sharks to get him. With Frederik Andersen on the list of goalies set to become available in the bonus round, the future is very apparent. Concerns have been tucked away and if there are any other ideas out there for the Waiver Draft, I will surely listen. For now, there was nothing saying that this couldn't happen, so it has been allowed. 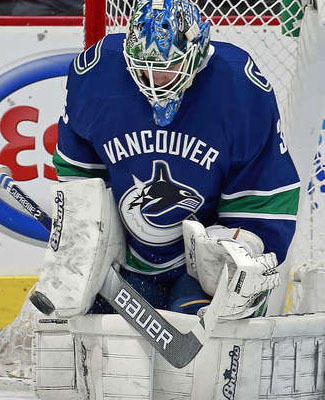 The Vancouver Canucks brought Thatcher Demko up from the minors after a very successful time in the AHL, just around the New Year, shuffling the deck in their crease and they are going to give their future number one a good go before the end of the season. If the hype is real, then Clayton's team could pick up a good pocket of points, helping his cause in both the overall standings and the rookie pool. On the way out, Columbus backup, Joonas Korpisalo, who has seen some starts, but time on the ice has been limited behind their big number one. The last pick actually made on Thursday was a defenseman swap for Steve's team, as he dropped Zach Bogosian of the Sabres and he picked up Brayden McNabb in Vegas to take his spot. Steve's defense has just been hovering around average all season long and could use the improvement to help lift up closer to the top five. The pool average on the blueline this season is 83 points and Steve's side is tied for 11th at 81 points. Okay, so I am just waiting on the final word on Grant and Stuart's teams, they should be done some time this morning. Then we'll hit up the bonus round.